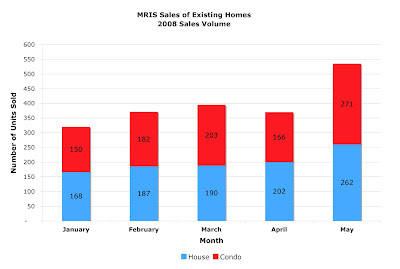 DC Home and Condo Prices: MRIS May Housing Report: Price Bounce? 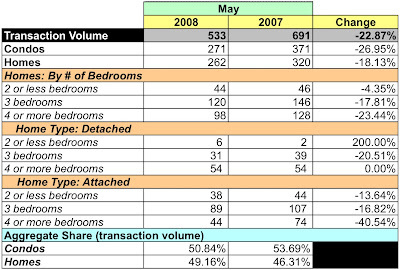 2) better quality houses sell in down markets with huge inventories (only the best sell, the worst just sit). Number 2 is a big deal when tracking how home prices change over time. 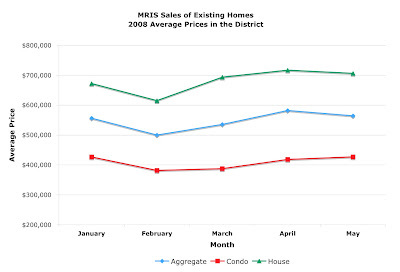 The opposite is true in a boom: the average quality of homes sold is lower. 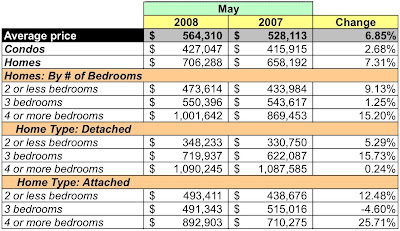 This is why it is important to look at indices like Case-Shiller, which do a great job of controlling for the quality of homes being sold. Note that the Case-Shiller index saw a much bigger boom and is now seeing a much bigger bust than median price data suggest. 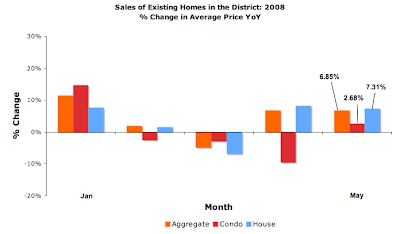 The problem with Case Shiller is that they need a big region to get good index measures. The C-S index for DC includes the whole DC MSA. Things are surely worse in the burbs and better closer in, and what C-S is reports the average of those areas.